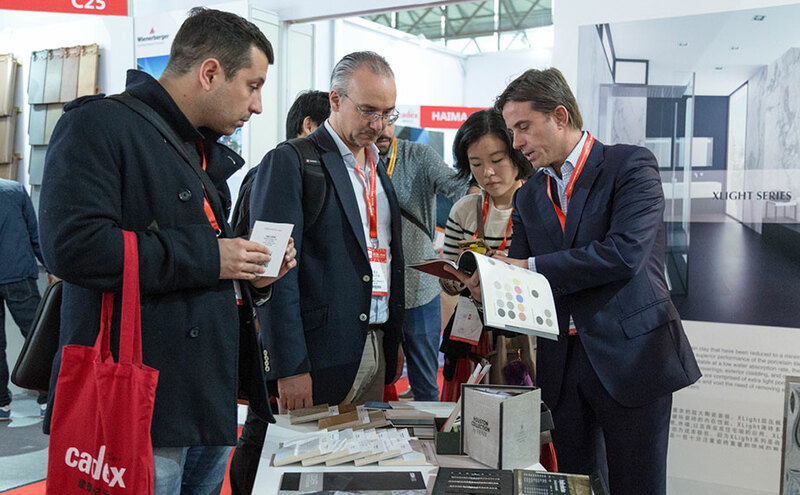 In recent years, one of the essential dates on our calendar of trade fairs has been Architect@Work in Shanghai, China, which for its 2016 edition changed its name to: ”CADEX” The Innovative Hub for Architecture & Design”. Of course, KRION® with its new generation solid surface, and PORCELANOSA SHANGHAI exhibiting the flooring and coverings of the firms of the Group, was present from the 22nd to 24th of March at stands C26 and C28 of the Shanghai New International Expo Center. The trade fair has only changed in name, though it has also increased the profile of its exhibitors in sectors such as hospitality, intending to establish itself as an international point of reference for architects, designers, materials manufacturers, and contractors, etc. CADEX is a perfect meeting place for connecting end clients with the most innovative and successful products of the market.